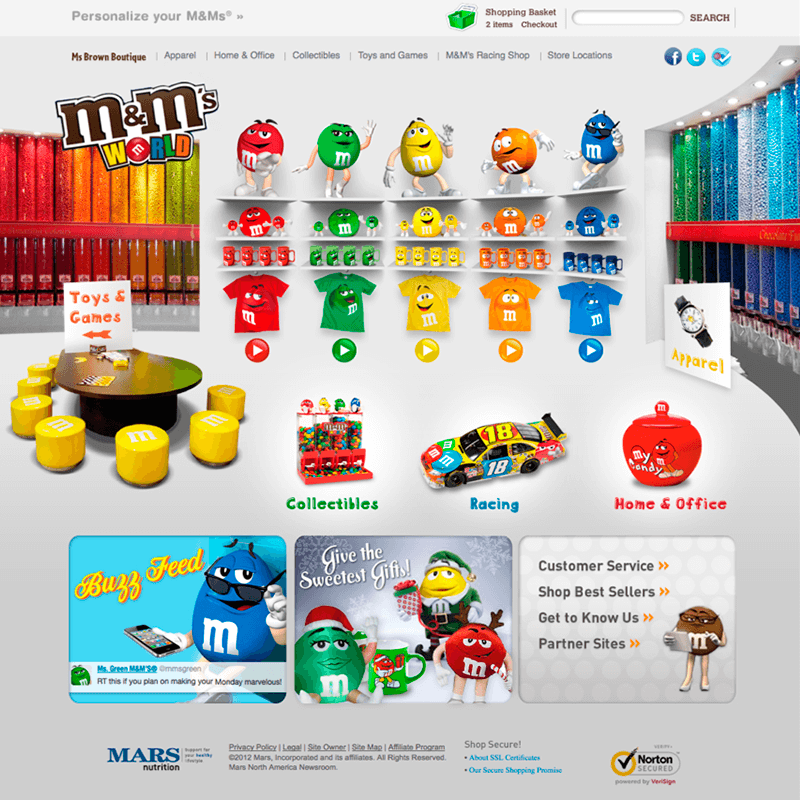 M&M’s World Stores wanted to enhance their online M&M’s World experience just into for their busy holiday season. Their website was nowhere near the caliber it needed to be to keep pace with its iconic stores. The site needed a huge injection of fun and connectivity. 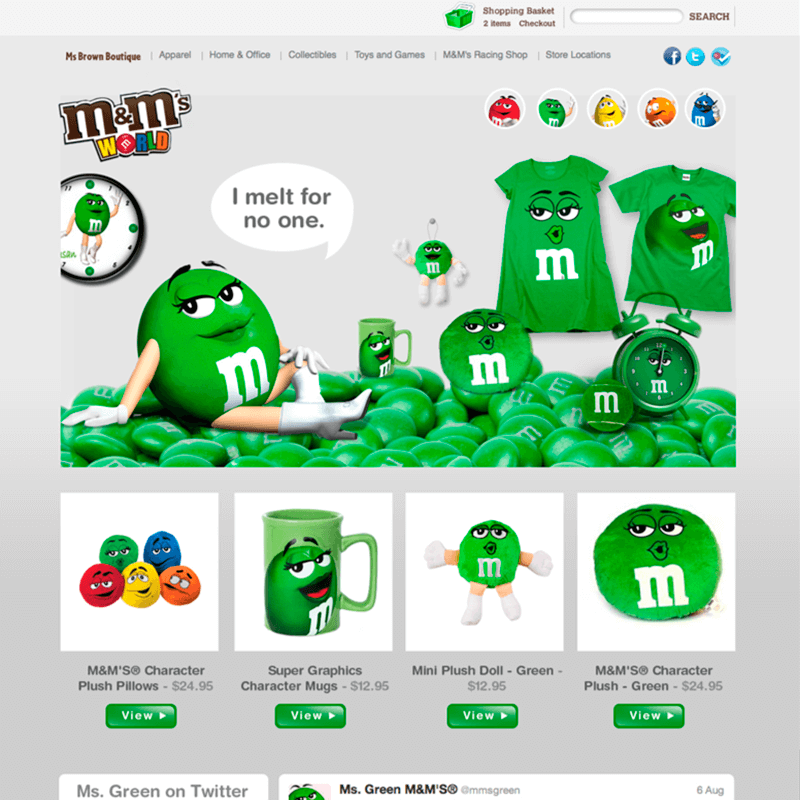 We created a fresh new website that made it easy to shop, search, share and conversate. 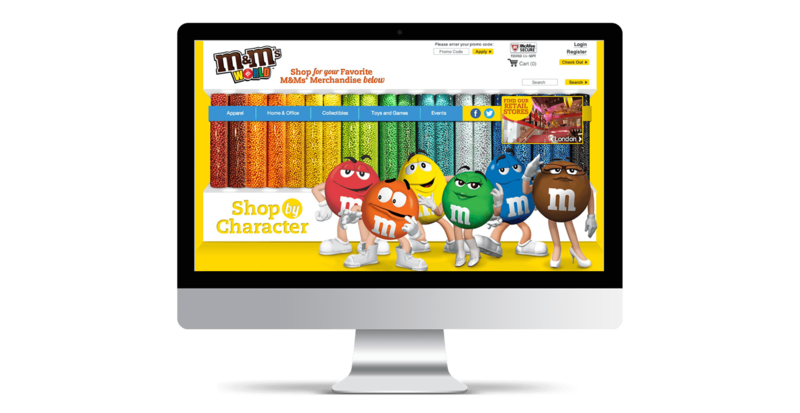 Plus we improved the social media integration throughout the site, maintaining functionality with their existing cart and fulfillment systems seamlessly and with no downtime. We also created a new outbound marketing strategy and email designs that increased sales and loyalty to the new site. Sweet!